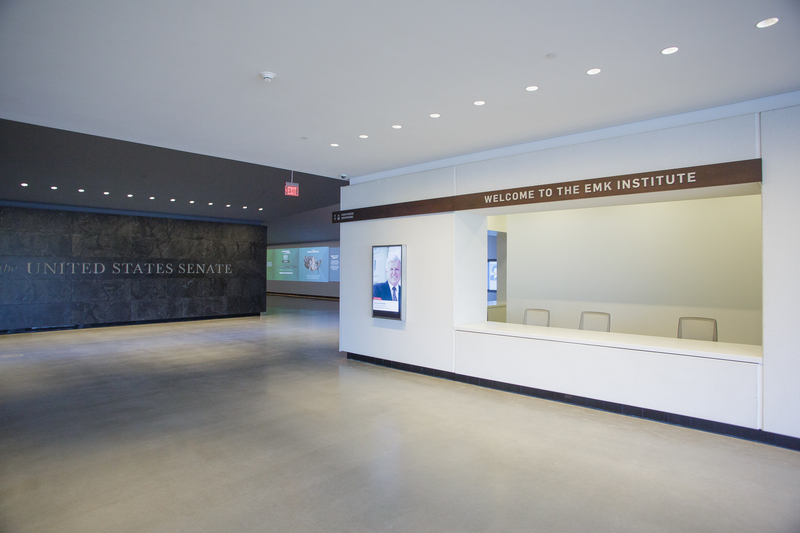 Before his death from brain cancer in 2009, U.S. Sen. Edward Kennedy insisted a building that would one day bear his name be less about his own legacy and more about the institution he loved and toiled in for more than half his life. 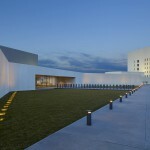 On Monday, the $79 million facility that sits adjacent to the presidential library of his brother, John F. Kennedy, was dedicated at a politically star-studded event attended by President Barack Obama, first lady Michelle Obama, Vice President Joe Biden and a host of current and former senators of both parties. 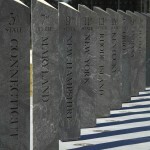 It opens to the public on Tuesday. 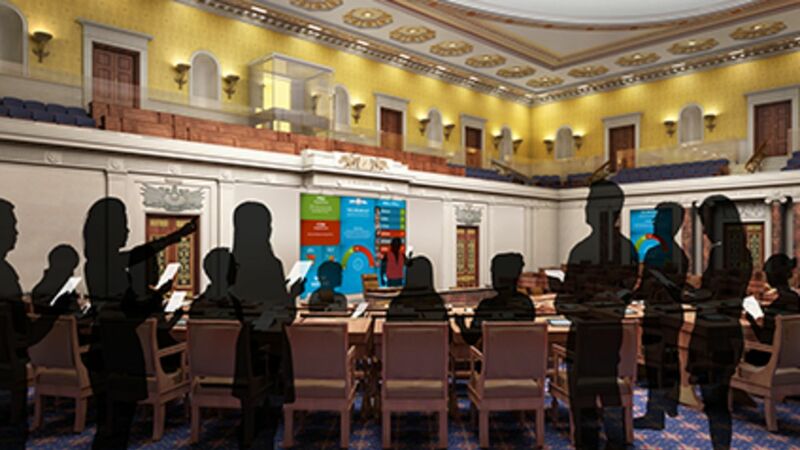 Kennedy, the Democratic “liberal lion” of the Senate, began to conceptualize the institute long before he became ill, with its centerpiece being a full-scale replica of the Senate chamber where visitors can role-play as senators weighing the pressing issues of the day, family members said in recent interviews. “It’s a living legacy. It’s not an inert building with his name on it,” said Kennedy’s younger son, former Rhode Island congressman Patrick Kennedy. 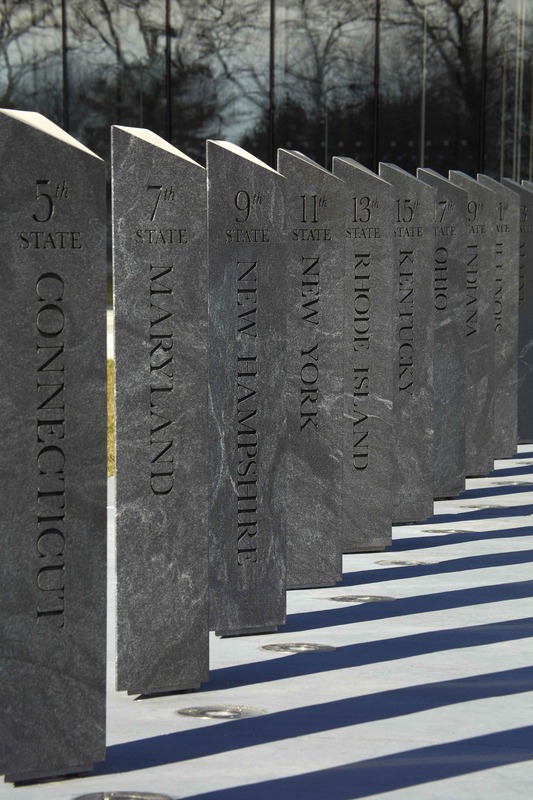 At one time, said Connecticut state Sen. Ted Kennedy, Jr., his father had planned to devote his time to the institute and even serve as its first director upon retiring from the Senate. He did not live to see construction begin. The road to today’s opening ceremony was not entirely without bumps. Mild objections occasionally arose over the $38 million in federal funds and grants that helped finance the project. But Kennedy’s famous ability to work across party lines and cement friendships with Republican colleagues may have helped mute the criticism. “Even though he could be a fierce partisan himself at times, he never let that stand in the way of being able to work with somebody,” said Ted Kennedy, Jr.
Republican Sen. John McCain is among the sitting senators scheduled to attend Monday’s dedication. Former Senate Republican leader Trent Lott of Mississippi is a board member of the institute and current Senate Majority Leader Mitch McConnell is scheduled to speak at an event there in May, officials said. McCain told CBS’ “Face the Nation” on Sunday that Kennedy always kept his word — even if it was difficult — and found a way to work across party lines despite much verbal jousting on the Senate floor. “Oh we had some of the great bouts, and yet, I remember one time we had a huge fight … and afterwards we were walking off the floor and he put his arm around me and he said, `We really did a good one that time, didn’t we John?”’ McCain said. The ceremony comes within months of Republicans regaining control of the Senate and amid a pervasive sense of gridlock and public cynicism about Washington. 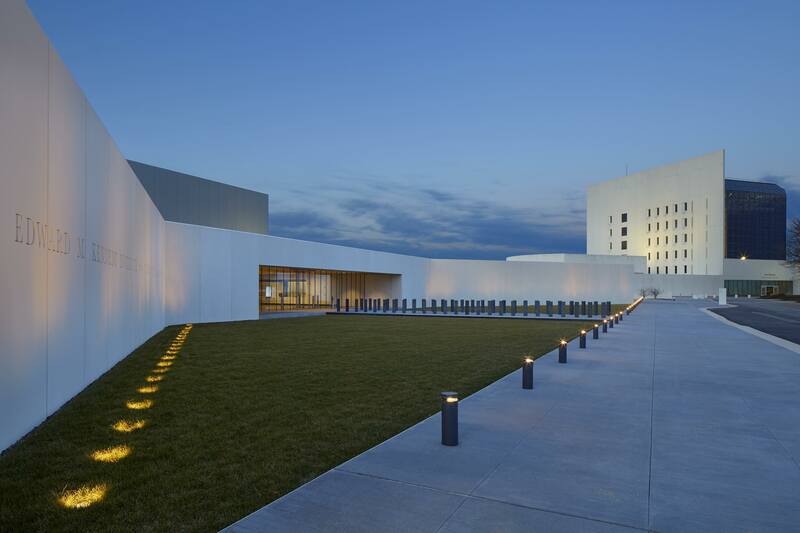 Officials of the institute say it launches in sound financial shape with a $50 million endowment — including money left by Kennedy — and anticipates at least 130,000 guests per year. 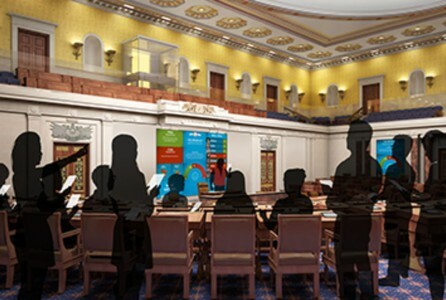 The facility is pinning much of its future success on a “Senate Immersion Model,” an interactive program in which groups of middle- and high school students enter the re-created chamber to be sworn-in as senators, attend hearings, write legislation, propose amendments, negotiate with their peers and finally debate and vote on a bill — all within two hours. 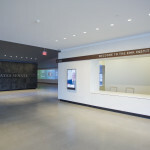 But at least one exhibit at the institute is far more about Kennedy himself. After his death, the family decided to recreate his Senate office, largely as it looked at the end of his life. Among the items moved from his Capitol office is an American flag that flew at JFK’s funeral. But mostly there are reminders of happier times: family photographs, writings or drawings made by his children at young ages and a painting of his beloved Portuguese water dogs, Sunny and Splash. Visitors will even notice the tennis balls he kept on the floor to occupy the dogs when they visited.